Welcome to Grindstaff Group, where car shoppers near Johnson City, Bristol and Elizabethton, Tennessee, can shop a massive selection of vehicles from today's top automakers. 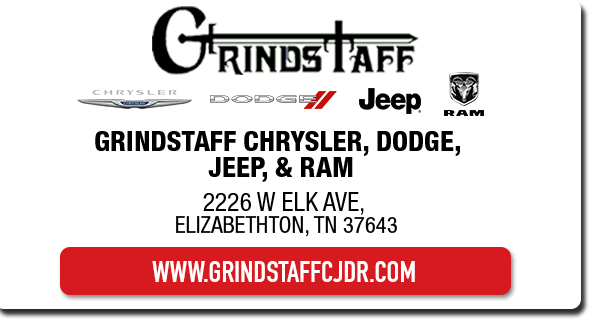 Our dealership group consists of three full-service new car dealerships in the Elizabethton area, namely Grindstaff Chrysler Dodge Jeep Ram, Grindstaff Kia and Grindstaff Ford. In addition to the latest cars, SUVs and pickup trucks from six popular automakers, at Grindstaff Group dealerships you will also find professional auto service and genuine OEM parts. Select your preferred Grindstaff Group to shop for a brand new vehicle or used car, apply for financing, order genuine OEM parts or find expert auto maintenance and repair services. From Ford and Kia to Chrysler, Dodge, Jeep and Ram vehicles, the dealerships of Grindstaff Group have got local car buyers covered when they are in the market for a quality new car, pickup truck or SUV. For a family-hauling vehicle, consider a Chrysler Pacifica, Dodge Durango, Jeep Grand Cherokee, Kia Sorento or a Ford SUV like the new Ford Escape, Edge or Explorer. For further assistance after browsing our online inventory, see our teams of sales associates for assistance with finding the ideal next vehicle for your lifestyle and budget. Car buyers on a tight budget will discover a supreme selection of late-model used cars for sale at Grindstaff Group dealerships. In addition to quality used cars and Certified Pre-Owned (CPO) vehicles from the auto brands that we specialize in, we carry pre-owned cars from a variety of other automakers, too. At each of our Elizabethton, TN area auto dealerships, we have a staff of auto financing specialists to assist local drivers in finding hassle-free car loans for their vehicle purchases. Before you even visit one of our dealerships or locate your dream car, you can get pre-qualified for auto financing online. With our secure online credit application forms, Grindstaff Group dealerships make it easy to find the financing you need! The Service Departments at our Elizabethton, TN area dealerships are staffed with professional and certified service technicians who perform auto service ranging from brake jobs and oil changes to tire replacement and warranty repairs. Whether you drive a Chrysler, Dodge, Jeep, Ram, Ford, Kia or any other make of vehicle, the seasoned auto service technicians at our Service Centers are up for any maintenance or repair job. 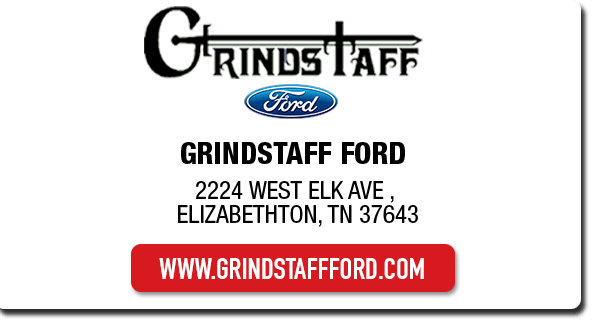 Select your Service Department of choice at Grindstaff Ford, Grindstaff Kia or Grindstaff Chrysler Dodge Jeep Ram, to schedule a service appointment online. 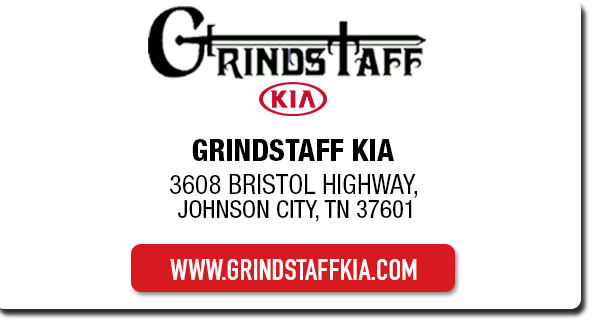 The dealerships of Grindstaff Group proudly serve drivers from Johnson City, Bristol and beyond!